The Vengeance Surf is an attractive rod sporting eye-catching, red cross-pattern grip handles with a slash of brilliant white. Available in two lengths, this model has a far more forgiving action than some of the over-stiff models currently available. 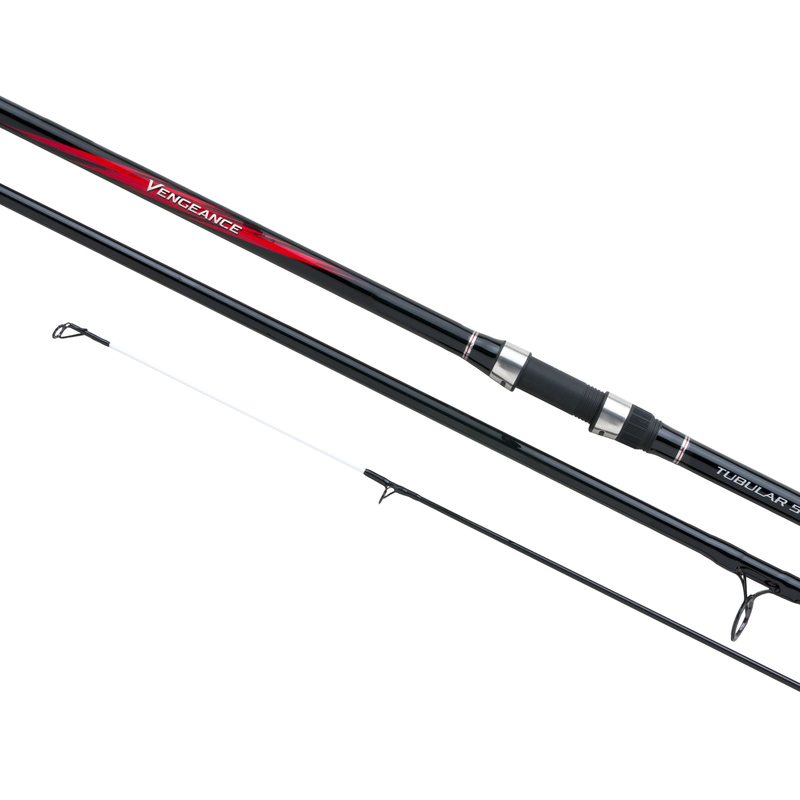 The Vengeance is a rod suited to the beginner and is sold at a reasonable price. Build on XT30 carbon + Geofibre blanks and fitted with Shimano Hardlite guides and a DPS reel seat.